We are pleased to invite you to attend the seminar on “Social Inclusion and Tolerance – Education as key to Social Inclusion” that will take place on May 15th 2018 at 1.30 pm at the Cursus en Vergadercentrum Domstad – Utrecht University of Applied Science, Koningsbergerstraat 9 – Utrecht, The Netherlands. The purpose of this special event is to present the first results of the “EUROPE” project (Ensuring Unity and Respect as Outcomes for the People of Europe), coordinated by Foundation Villa Montesca and co-funded by the Erasmus+ Programme of the European Union. 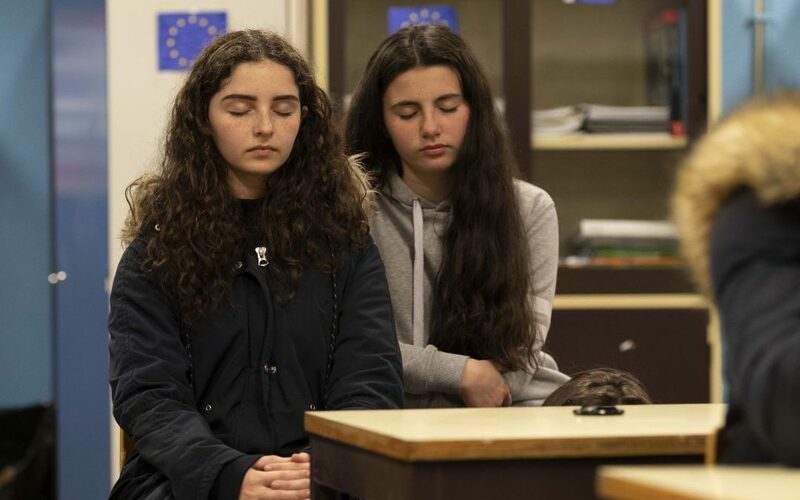 The EUROPE project uses an innovative approach for inclusive education: the Quiet Time based on Transcendental Meditation Programme for schools. This new approach to improve social inclusion, is based on an initiative started at primary and secondary schools. The objective is to make young people more tolerant and open to cultural, ethnic and religious differences, in order to improve social cohesion within the European Union. Furthermore, the project supports teachers and educators in handling conflicts and dealing with diversity. In this seminar, initial scientific results of the EUROPE project will be presented and teachers from participating schools throughout Europe will share their experiences. Don’t miss the chance to attend this special event with speakers from Italy, the Netherlands, Portugal, Sweden and the UK. Detailed agenda of the seminar you can find here below. You are very welcome to attend this free seminar and understand how the Quiet Time based on Transcendental Meditation Programme can improve social inclusion for your school and for society. Please register your participation at the earliest possible convenience at the following link: https://www.aanmelder.nl/socialinclusion. – EUROPE Project: Introduction and objectives. Testimonial from Alberto Iria Scool in Algarve, Portugal, implementing the Quiet Time / Transcendental Meditation Programme – Effects on the school and Synergies with other programmes at National level including TEIP programme and UNESCO group of schools.